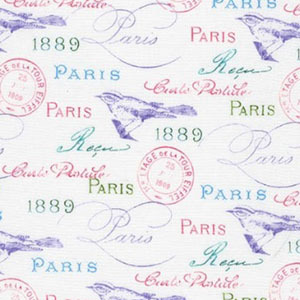 1889 is the date of the Paris World's Fair. Calligraphy and postal stamps in lavender, pink, and green. Price: $1.99 per fat quarter 21" by 18"